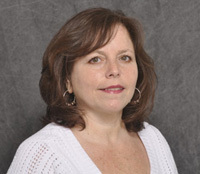 Debbie Parziale is NCLC’s office manager. She joined NCLC’s staff in 1985. In addition to supervising the administrative staff, Debbie coordinates a wide array of NCLC activities including: arranging the logistics of the board of directors meetings; organizing registration and accounts receivable of the annual Consumer Rights Litigation Conference and other conferences; preparing materials used at advocacy trainings; and coordinating all of NCLC’s hiring. She oversees the maintenance of office equipment and office supplies. Debbie is also responsible for keeping a variety of NCLC’s schedules, internal forms, and documentation up to date, as well as numerous other tasks that ensure the smooth functioning of the Boston office.